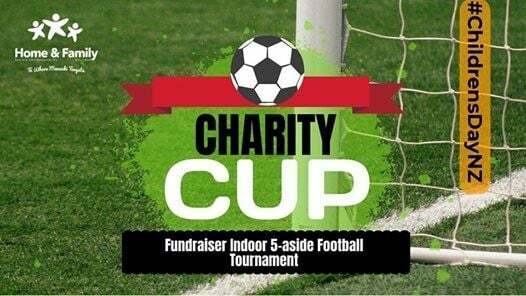 Dust off your boots, gather your team mates, practise your step-overs and your Cruyffs, because The Charity Cup is here! To be held on NZ Children's Day (Te rā o ngā tamariki) and to raise funds for The Home & Family Society. - Squads can be a maximum of 9 players (5 players on the field and 4 substitutes) and a minimum of 5 players. 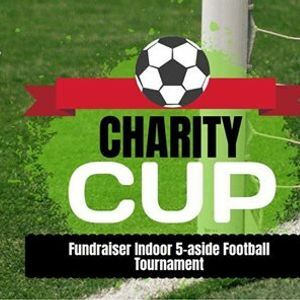 - Teams are encouraged to fund raise $2000 for Home & Family as entry fee. A minimum amount of $1500 is required and entry is conditional on this minimum being met. We can give you hints and tips to assist you with your fundraising in the lead up. If you have 9 players, that is only $166 each! - Teams can be made up of males and females. - All the proceeds go to the Home & Family Society, which should give you the warm fuzzies.